Learn How To Backup Your Photos Easily! 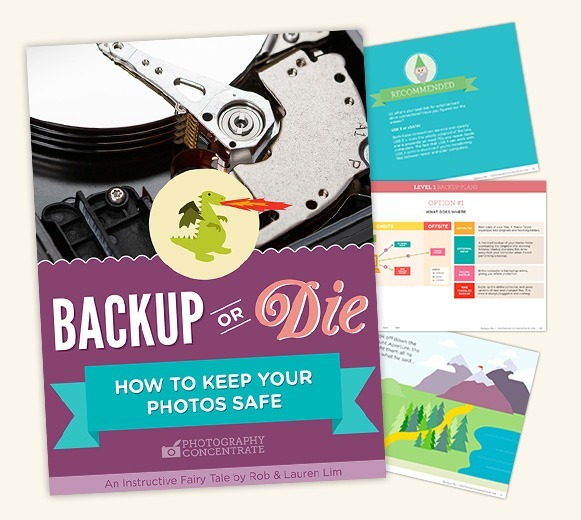 Learn how to create a backup system, step by step, and keep your precious photos safe! Every hard drive you own will FAIL at some point. They are made of physical parts that will eventually wear out. And when that happens, any photos on that hard drive will be gone. Hard drive failure is just one way that you could lose your photos. There are other threats lurking in the shadows! Data corruption, theft, disaster (like a dragon burning your house down) and even simple human error (Uh oh, was I supposed to delete that?). The world is a scary place for photos! To keep your images safe, you need to have 3 copies, on 3 different hard drives, with 1 of those drives stored offsite (which means outside of your home). And that goes for any photographer – pro or hobbyist, Mac or PC. Data loss doesn’t discriminate. The Basics: The what, when, where and why of backup. The Equipment: The gear you need, and how to get it for less. Set Up: The nuts and bolts of putting your plan in place. Emergency Fixes: How to deal with data loss, corruption and failure, PLUS how to minimize risks. Sleep easy knowing that your images are safe at all times, no matter where you are! So long, guesswork. You'll know exactly what gear you need, and how to use it, to create a backup system that's seamless. Whether you're a hobbyist or pro, looking for a little storage or a ton, we've got a step by step plan to suit you! We'll show you how to save on gear, and how to set up a backup system that does most of the work all by itself! We make it super-easy (and fun!) to understand the technical stuff, even if you're a total tech newbie! It starts off with a simple file organization system that we’ll show you. Basically, you separate your original photo files from everything else. This helps you find things quicker, and also makes backing up the important stuff straightforward. Organizing your files this way will save you so much time in the long run. Then you’ll add in different types of backups. This is the key. No one type of backup alone will keep your files safe! In Backup or Die we’ll teach you about mirrored backups, which make an exact backup copy of your data. These are the main type of backup and will form the core of your strategy. Then you’ll learn about the Time Traveler backup. Why such a cool name? Because it lets you go back in time to previous versions of your files! This magical system helps protect you from accidentally deleting the wrong file (it can happen to anyone!). There are other types of backup, like RAID, Safety Backups, and Bootable Clones, and we’ll take you through the details of each one, teach you how they work, and explain how they help keep your photos safe. You might be thinking that you could just use online internet backup systems to store your files, and be done with it. But we’ll talk about the reasons why this alone isn’t a good option, and why it might be more hassle than it’s worth. Now, this all might sound like a good idea, but simply too much effort to actually do. Don’t panic! When you get Backup or Die, you’ll learn how you can use software to do most of the work for you! & Have Fun Doing It! One of the biggest challenges that keeps photographers from backing up their photos properly is figuring out the technical details of creating a proper backup system. And the general boringness of the topic! But we’ve designed Backup or Die to not only teach you everything you need to know, but to also make sure you actually enjoy the process! We’re going to take you through all the fundamentals first, so that even if you don’t know anything about hard drives or backup, you’ll be able to follow along. We want you to take baby steps. That way you won’t get overwhelmed, you’ll learn faster, and you’ll enjoy it! And then there’s the fairy tale. Three photographers from the land of Bokeh lose their photos and enlist the help of the local wizard, who promises to teach them what they need to know to create a backup plan that fits their own unique needs. You’ll join them as they brave the dark woods and journey to the summit of Mount Aperture – learning all the while! See?! Backup can be fun! We’ve also made sure that every page of this eBook is both filled with practical information, AND is enjoyable to look at. And those graphics aren’t just pretty – they’re useful too! 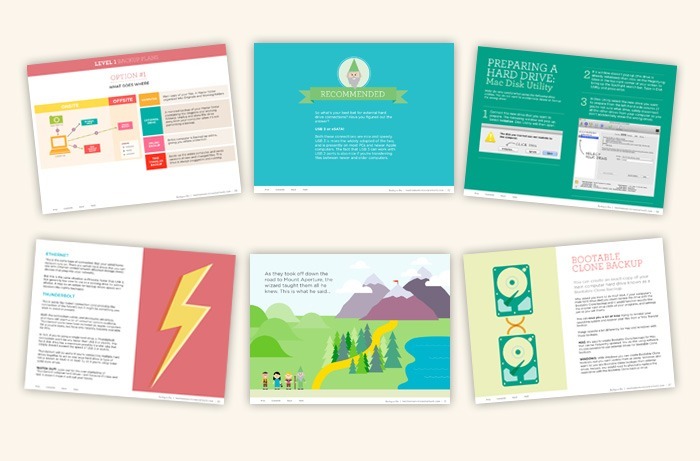 Key concepts are simply illustrated, to help you understand them quickly and easily. There are different types of hard drives out there, and many different ways to connect them to your computer. Which ones you choose can make or break your backup system. With Backup or Die you’ll learn the important differences. We’ll show you which drives are the most convenient to use, and which ones will help you work faster. You’ll learn what all the different numbers and letters mean, and how to keep your hard drives from slowing down drastically. And we’ll also show you some easy ways to keep your hard drives neatly organized, and extra protected. The best part of all of this? We’re going to give you simple tips to follow to help you get the right equipment at the best price, and save money by avoiding fancy gear that you don’t need. After you’ve conquered the types of backup, and know all about the essential equipment, you’ll be ready to feast your eyes upon the Backup Plans! Here’s the thing: when it comes to backing up your images, implementation is the key. You can learn all you want, but it won’t actually protect your photos unless you DO something with that knowledge. Backup or Die is all about helping you actually create a backup system. The Backup Plans are what makes that simple. There are three different levels of plans, for different types of photographers. So no matter how long you’ve been shooting, or how many photos you have, you’ll be able to find a plan that works for YOU. And you’ll learn exactly how each plan works, in detail, along with suggested hardware to put it together. Everything is right there for you – all you have to do is actually set it up! But we won’t leave you wondering “What next?”. Remember, we’re going to help you actually make this system! So once you’ve studied the Backup Plans, we’ll go through the 12 easy steps you need to follow to set yours up. Along the way we’ll show you how to prepare your hard drives, and detail the simple actions you’ll need to take to keep your system running smoothly. When you get Backup or Die, you’ll also learn the basic workflow for backing up your photos. Again, to keep your photos safe you need to act. So we’ll make sure you know exactly what to do, in what order, and how often. But don’t worry, we’ll make it all simple to understand and easy to remember. And by this point, you’ll have learned all the basics and techniques, step by step, so you’ll feel confident that you can do it! Remember, all hard drives will fail, so you’re going to have to deal with that problem at some point. 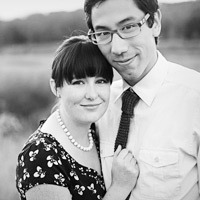 And we’ll make sure you know just what to do to keep your photos safe. When you’re done this eBook you’ll be totally confident that you can handle the situation. And the good news is that if you follow the Backup Plans that are included in Backup or Die, a hard drive failure won’t result in any data loss. Huzzah! Not only will that save you the stress of losing your photos, but it can save you money too! If you don’t have a backup system, you’d have to send the drive to a hard drive recovery specialist who will try to get your photos back. The cost? $1,000 on average. And they might not even be able to save the images! But you won’t have to worry about that. 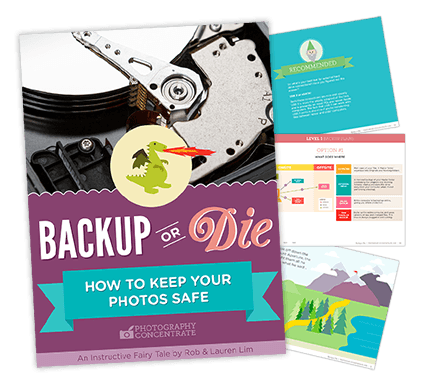 When you have a great backup plan, your photos will be safe! Other essential backup gear: What it does, what you do and don't need, and more. 3 comprehensive, step-by-step backup plans tailored to fit your needs, whether you're a hobbyist or pro looking for a little or a lot of storage space! My crashed computer was made much easier to recover from in part because of lessons I took from your ebook, Back Up or Die. When you buy the eBook, you'll also get seven helpful worksheets that will guide you through each step of designing, setting up, and maintaining your own backup plan. Setup Checklist: Check off each step as you put together your system, so you're never wondering "What now?" 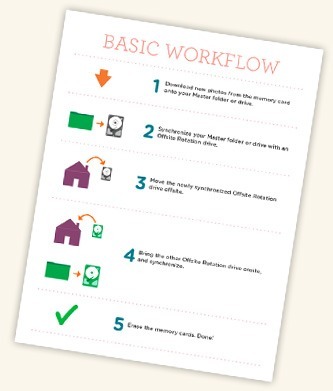 Basic Workflow: Print out this workflow guide and keep it handy so it's easy to remember what to do to keep your photos safe. PLUS, we've included an example PDF of all the worksheets, already filled out. Look through the examples, and you'll see easily just how to use them! An 119-page PDF eBook that teaches you everything you need to know about creating a fail-proof backup system. Each page is beautifully illustrated. PLUS, the whole book is a fairytale – cool! You'll also get the 7 bonus worksheets that'll make it super-easy for you to setup and maintain your backup system. You’ll get all of that, in just one place. You’ll save countless hours figuring it out yourself, and actually enjoy the process! This tutorial comes in digital download format (a zip file). The eBook and bonus worksheets are .pdf files that can be easily viewed on your PC, Mac or iPad. Once they’re on your computer, all of the files can be viewed offline, anytime. And they’re yours to keep – forever! Re-read and re-use them as many times as you like, so you can be sure the information really sticks! Try Backup or Die for a full 60 Days, and if you aren’t completely confident backing up your photos and keeping them safe — no matter what level you’re starting at — you’ll get 100% of your money back. Email me at [email protected] and I will refund your money personally. No questions asked. You’re going to love this tutorial – I’m that confident. Get the entire tutorial, including the eBook PLUS the valuable bonus worksheets, for only US$97, and be on your way to better images for life! ...And get total peace of mind! You know you need to backup your photos. You’ve put so much time and effort into creating them, and you want to keep them safe. But trying to learn how to do it by searching online or in books takes up way too much time, and can lead to serious information overload! You should get Backup or Die instead. It’s the one place where you’ll find everything you need, completely organized, and super easy to learn. Plus, it’s the only backup eBook that has dragons!! So get our eBook, fill out all the worksheets, and then create your backup system. Your images are precious and they deserve to be backed up properly! Now let’s do this and start feeling secure! P.S. Remember, we made this a no-brainer for you. You get a full 60 Days to try Backup or Die so there is zero risk for you. If you aren’t totally and completely satisfied, get 100% of your money back. No questions asked. Get it now and protect your photos, today!